FREE Film Coated Advil Sample! 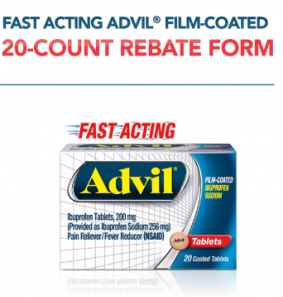 FREE Advil Film-coated 20-ct Tablets After Rebate! New Red Plum Coupons for Tone, Wisk, Purex, and Lots MORE! Red Plum Coupons: Maybelline, Advil, Robitussin, Garnier, McCormick, and More! Save Up To $8 on Advil! NEW Coupons for Hormel, Glade, Advil, Nuk, P3, Meow Mix, and More!